1.2 What Is Data Repurposing? 2.5 What Makes Data Useful for Repurposing Projects? 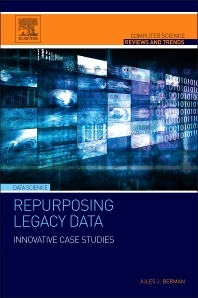 Repurposing Legacy Data: Innovative Case Studies takes a look at how data scientists have re-purposed legacy data, whether their own, or legacy data that has been donated to the public domain. Most of the data stored worldwide is legacy data—data created some time in the past, for a particular purpose, and left in obsolete formats. As with keepsakes in an attic, we retain this information thinking it may have value in the future, though we have no current use for it. The case studies in this book, from such diverse fields as cosmology, quantum physics, high-energy physics, microbiology, psychiatry, medicine, and hospital administration, all serve to demonstrate how innovative people draw value from legacy data. By following the case examples, readers will learn how legacy data is restored, merged, and analyzed for purposes that were never imagined by the original data creators. Jules Berman holds two bachelor of science degrees from MIT (Mathematics, and Earth and Planetary Sciences), a PhD from Temple University, and an MD, from the University of Miami. He was a graduate researcher in the Fels Cancer Research Institute, at Temple University, and at the American Health Foundation in Valhalla, New York. 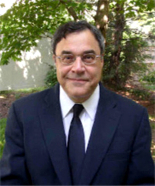 His post-doctoral studies were completed at the U.S. National Institutes of Health, and his residency was completed at the George Washington University Medical Center in Washington, D.C. Dr. Berman served as Chief of Anatomic Pathology, Surgical Pathology and Cytopathology at the Veterans Administration Medical Center in Baltimore, Maryland, where he held joint appointments at the University of Maryland Medical Center and at the Johns Hopkins Medical Institutions. In 1998, he transferred to the U.S. National Institutes of Health, as a Medical Officer, and as the Program Director for Pathology Informatics in the Cancer Diagnosis Program at the National Cancer Institute. Dr. Berman is a past President of the Association for Pathology Informatics, and the 2011 recipient of the association's Lifetime Achievement Award. He is a listed author on over 200 scientific publications and has written more than a dozen books in his three areas of expertise: informatics, computer programming, and cancer biology. Dr. Berman is currently a free-lance writer.